It’s nearing 7 pm on a Friday. I’m on afternoon shift, but I’ve made a deal with the next staffer to cut out 10 minutes early to prepare for an interview. Miraculously, I slip out of the main office and creep across Gunter Street undetected, a feat most unheard of. It’s a no-man’s land between the Casa properties of 821 and 822, a free-for-all where in each moment, there is a risk of exposure to time-consuming conversation and cultural food offerings that sink a well-fed belly. For a person working within a time frame, Casa Marianella is a hard space to navigate. Community here is strong and the situations which arise demand constant interface and interaction, a predicament that fails to align gracefully with Western ideals such as punctuality and timeliness. These are the things I worry about when crossing the street at Casa Marianella. I worry about getting swept away by well-intentioned, caring dialogue and packing in too many calories, fears so benign and ridiculous in light of the traumas and anxieties our residents carry. Regardless, it’s a little known miracle that I made it across the street to the less-publicized Case Management office. I take it as an omen that this meeting is, to say the least, important. Abdirahman slouches comfortably in his chair, hands clasped over his middle. He’s about 5’9, with a sturdy build coupled by soft facial features and crackling warm eyes. His demeanor is one of intense engagement. “I really am excited to share,” he repeats. Abdirahman and I are meeting to discuss the events that brought him to Casa Marianella. Our conversation is an attempt to make sense of where he’s been, what he’s seen, and who it is he is trying to become. By speaking, Abdirahman is bringing the world up to speed on the journeys some must take to secure a hard-fought peace. By speaking, Abdirahman is seizing an agency that was stripped of him in a frenzied Somalia; he is divulging the suffering he experienced in the xenophobic climate of South Africa; he is searching for a comfort unfelt as he cut across the Americas, weathering 4,983 miles of treacherous rode and remote jungle. 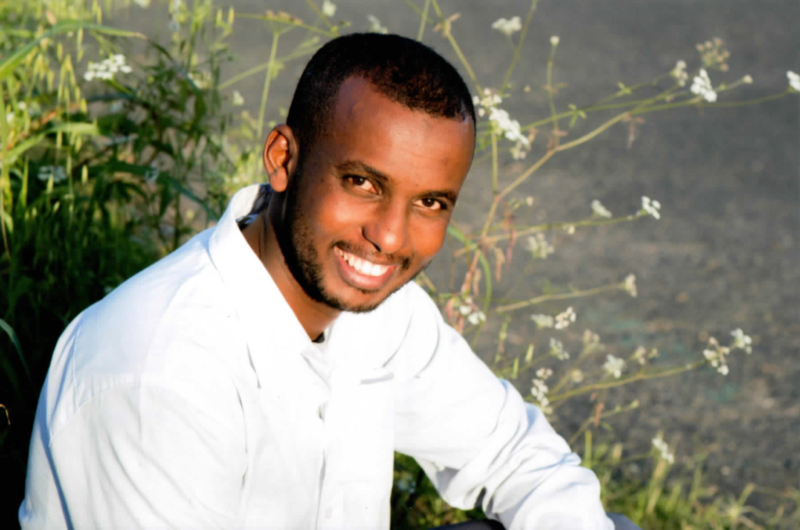 By speaking, Abdirahman is critiquing the United States government and it’s ironic habit of detaining those most desperate for relief, respite, and refuge. By speaking, Abdirahman is making one thing perfectly clear: freedom is an illusion and the pursuit of freedom is a fool’s errand, filled with false promises and fabricated hopes. The story of Abdirahman began 12 years ago, in a small Somali town called Berhani. It was 2004, and the inter-tribal violence of an ungovernable nation was steadily on the rise. Since the late 1980’s, civil war has devastated the Somali landscape, claiming an estimated 350,000 lives in 1992 alone. After the death of his brother and the destruction of his family’s livelihood in the early 2000’s, a 17-year-old Abdirahman decided to flee his country and head to the democratic promise land of the continent, South Africa. 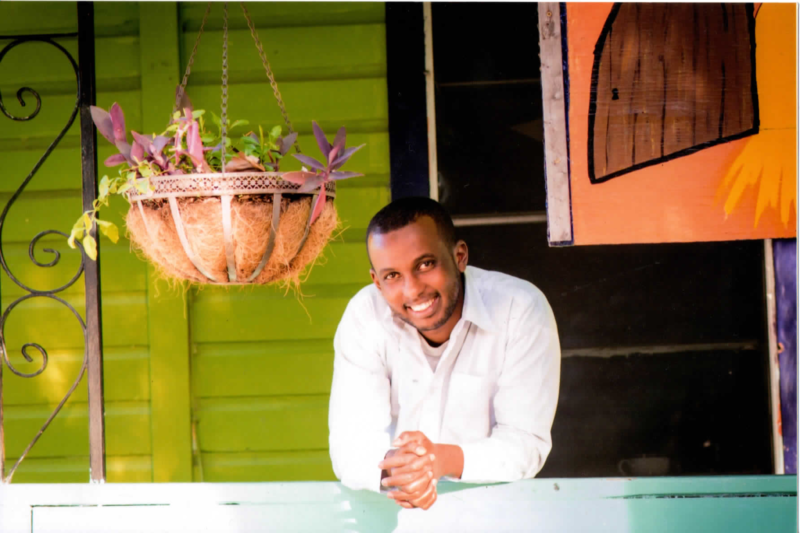 For Abdirahman, South Africa was the symbol of new beginnings. He believed the Rainbow Nation was an honorary member of the Western world, with democratic ideals and a history of civil rights successes. In South Africa, he prayed for peace. What Abdirahman found after crossing mountain passes and digging under the barb-wired fence of the country’s Eastern Wall was a cultural climate of unwelcome, concurrent with the contemporary Western stance toward displaced peoples. South Africans labeled Abdirahman kwerekwere, a derogatory term stemming from Nelson Mandela’s native tongue Xhosa, meaning “foreigner.” According to Abdirahman, there is a general distrust of the kwerekwere. Persecution of the kwerekwere has long been documented in South Africa. After the end of apartheid in 1994, the general population became weary of immigrants disturbing the fragile stability of a healing nation. According to a survey conducted by the Institute for Democracy in South Africa, more than 20% of South Africans called for the deportation of all immigrants in 1997, a percentage that remained constant over the next 9 years. In the early 2000’s, anti-immigrant sentiment turned violent as a smattering of xenophobic incidents were reported by various news outlets. In May of 2008, this violence culminated with the killings of 62 foreigners in a 1 month time span, sending a fearful tremor throughout the immigrant circle. This was the political scene Abdirahman attempted to assimilate into. Without resources, he took to the streets, selling cigarettes one-by-one atop a curbside perch to local passersby. He hopped from township to township, desperate to find a place that would recognize his humanity, haunted by whispers of Kwerekwere wherever he went. In 2007, Abdirahman became the quarry of the South African hunting game when a native lodged a bullet in his upper back. Some 6 years later, he was preyed on once more, by a band of adolescent South Africans who set his small corner shop ablaze. Abdirahman secured the shop in 2008 when he moved to the Zwelitisha township just south of King Williams Town. During that year, his brother Mohamed joined him from Somalia and, together, they started to rebuild a fragile life. The shop went up in flames. Abdirahman managed to escape unscathed, but Mohammed was not as fortunate. In the dirt street outside their burning livelihood, Abdirahman knelt by his brother’s inconsolable, shrieking body. Mohammed was tossing from side to side, fiercely attempting to smother the flames that clung to his skin like a leech hell-bent on getting fed. The smell of smoldering flesh mingled with the chalky thick odor of black smoke, sending Abdirahman into a disjointed daze. After some time, Mohamed’s body lay still; his screams dampened to whimpers. Abdirahman cooed softly at his side, stomach tightening at the sight of his brother’s dirt-encrusted open wounds, with patches of charred tissue and plots of glossy pink muscle. Medics arrived and took Mohamed to a local hospital. The police came and asked their questions. In the end, Mohamed would survive, but the South African government would do little to compensate two asylum-seekers from Somalia. In the end, Abdirahman would make the choice to board a plane to São Paulo, Brazil with the intention of traveling north to the United States. In the end, he would seek freedom elsewhere, a pursuit that would be dammed by a cold decree of asylum denied. By the time we finish, it’s nearing 10:30 PM. My orange juice is gone along with the deep etches of Abdirahman’s dimples. His head is hung, wide stretching grin replaced by pursed lips pressed firmly against a balled fist. The crackling flame in his soft eyes is out, doused by the vulnerable outpour of adversarial truths. In a few days time, we would meet again to talk about his journey through the Americas. Abdirahman would outline the dangers in the 11 countries he crossed, beginning in Brazil and digressing his way up the throat of the Americas. He would talk in length about his 7-day excursion through the Darien Gap, a swath of uncharted jungle that sits on the Panama-Colombia border and plays host to nefarious networks of drug lords and human traffickers along with lethal creatures capable of sidelining a well-vetted traveler. He would talk about how, for 11 months, he waited in detention to see a judge. He would talk about receiving low quality medical care and textureless, poor grade food. He would tell me that, “in detention, you lose your mind and you lose your hope.” He would open up about the heartache he felt when his case was denied, as his story didn’t fit nicely into one of the five categories that would grant political protection. This story was beautifully written by our own staff member and guest blogger Erin Edmonds. Thank you. My heart cries.